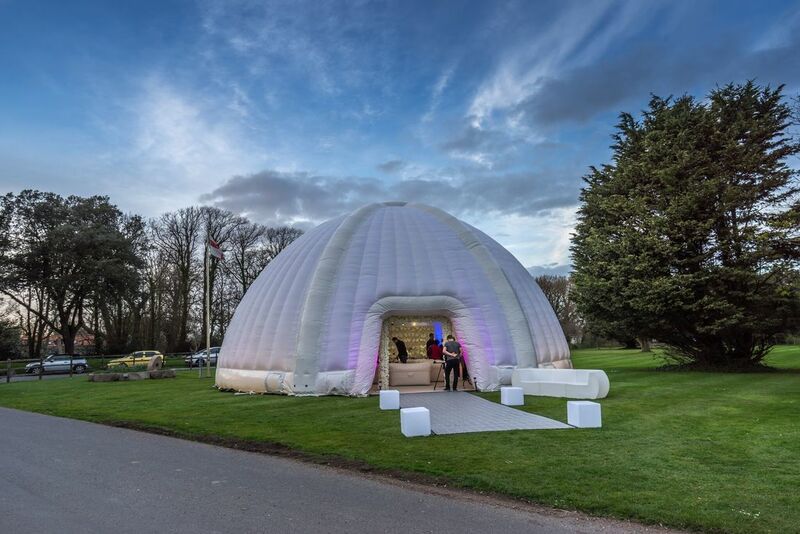 New for 2017 is our fast up, and modern looking AirDome, 14 metres in diameter and with a capacity to seat 100 guests in comfort. The AirDome comes in white, complies with all the latest safety requirements, and with its high roof, and insulated walls, is perfect for keeping sound pollution down to a minimum. A lot more sophisticated than an inflatable castle, the dome possesses sealed walls so that if power is shut off the dome does not deflate. 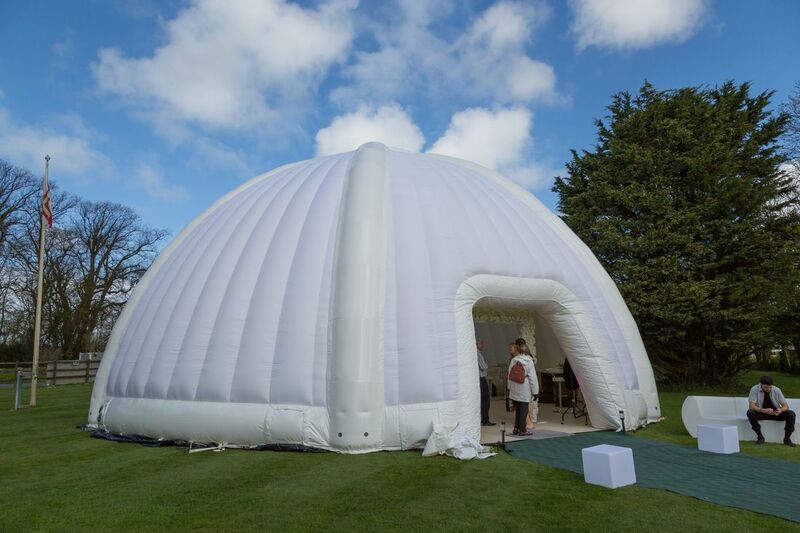 If set up time is a problem, we can have the dome in position and fully inflated within 90 minutes, a true advantage, and much quicker than a conventional Marquee. 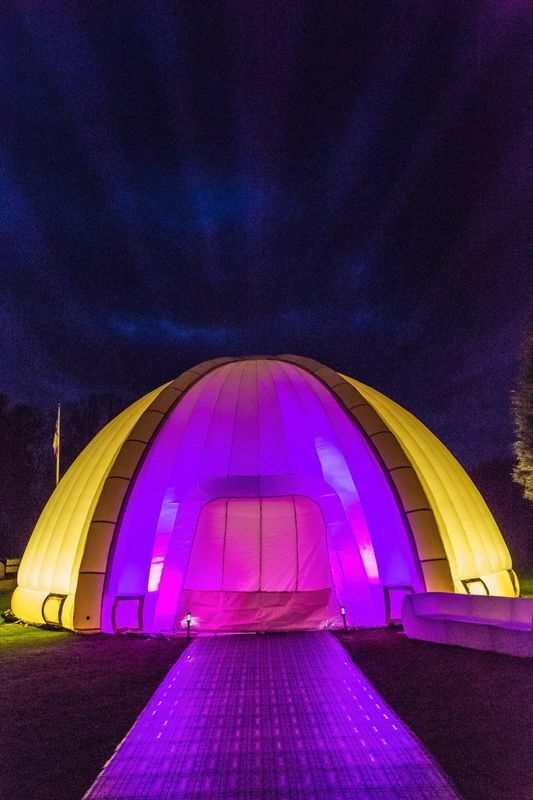 Due to it's advanced design and engineering this Dome can withstand speeds and gusts of up to 55mph therefore ensuring your event is not effected at anytime of the year. We can also supply a variety of conventional Marquee structures and flooring for your next outdoor event, so speak to us now about the dry space you wish to create. It is a big fun space that can make your event stand out from the rest, and be one to remember. With the Joys expertise and lighting team we are able to customise the colours that are projected inside the dome, and we can even project images onto the walls of the dome! Our new range of inflatable furniture goes perfectly for the finishing touches to your outdoor event, see our separate pages for event and please get in contact with us.